Reading is an activity that increases our knowledge and lifts our spirits. It's an exchange between writer and reader. The writer tries to persuade and convince, but every reader controls his or her interpretation of any text even if some must do so in secret. Among my favorite memories: my mother reading to me and years later reading books aloud with my son. Our family started when he was three months old. I propped him against the sofa beside me for endless repeats of rhythmical Each Peach Pear Plum and continued the nightly ritual into early high school when we both took turns. We analyzed the books and compared them to our lives. And we understood them better for both following the words on paper as well as hearing them or speaking aloud. "Shared bookreading can stimulation more verbal interaction between child and parent, and therefore children's language development is likely to profit more from reading aloud than toy play or other adult-child interactions," note E. Duursma, M. Augustyn and B. Zuckerman n "Reading Aloud to Children: The Evidence." The list of evidence is long: "Sharing books with children can also help them learn about peer relationships, coping strategies, building self-esteem and general world knowledge." Even for older children and adults, reading a key points out loud helps create a distinctive memory, notes Art Markman in Psychology Today, writing about a paper by Colin MacLeod, Nigel Gropie, Kathleen Hourihan, Karen Neary and Jason Ozubko for Journal of Experimental Psychology: Learning Memory, and Cognition. "The read-aloud process has enormous benefits to literacy learning," write Vanessa Morrison and Lisa Wheeler for Reading Rockets. 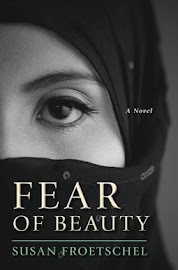 Fear of Beauty is about a woman in rural Afghanistan who is desperate to learn how to read after the death of her so. 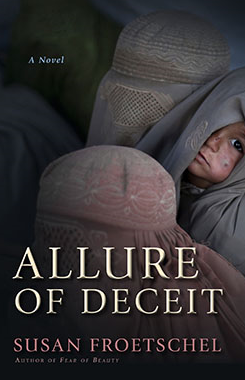 In Allure of Deceit, she is trying to urge another son to attend reading sessions in their village. In both these mystery books about parent-child relationships, the characters read aloud. Write to request a review copy. 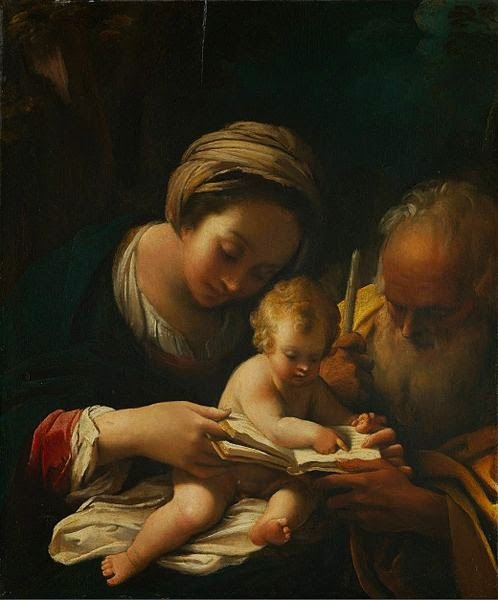 Image of The Holy Family with the Virgin Teaching the Child to read, painted by Bartolomeo Schedoni, 1578-1615, courtesy of the National Gallery in London and Wikimedia Commons. The Italian artist who was known for his art with religious subjects, "quiet sentiment and vigorous painting" had a troubled life, notes ArtFortune.com.